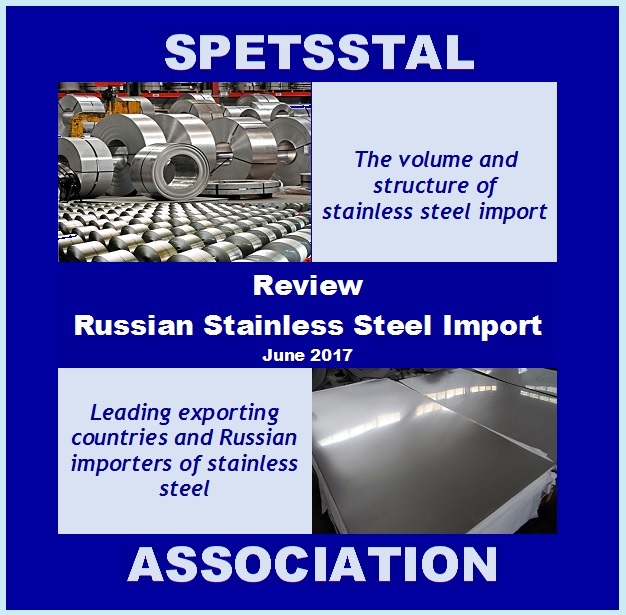 Review "Russian import of stainless steel products"
The "Spetsstal" Association brings to your attention the Review "Russian import of stainless steel products", which contains basic information on Russian import of the main types of stainless steel products in 2015-2016, as well as the share of foreign products in total consumption. 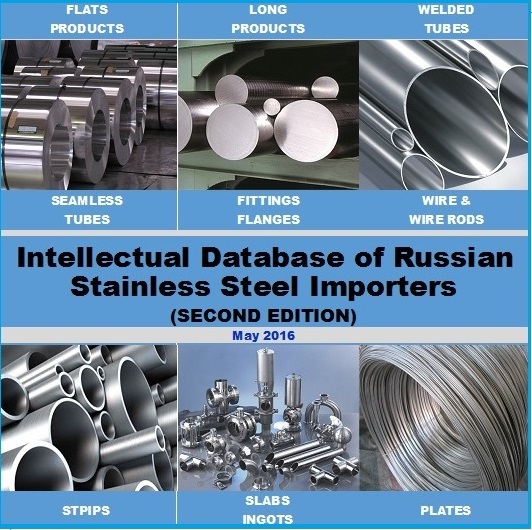 The review is supplemented with information on 100 leading Russian importers of stainless steel in PDF format and in Excel format. Established, Legal address / Postal address, Tel / Fax, Website, Email, TIC (Tax Identification Number), PSRN (Primary State Registration Number), Founding Members, Registered Capital, Management, Products & Services, Specialization, Sales revenue on Russian market, Additional information, Branches of the company, Affiliated legal entities, Volume of import of stainless steel products, 2014-2016, Total costs of import in 2016, Import product structure in 2016 (6 digits HS Code) tons. Link to a page in PDF, Business Name, Import product structure (HS Code), Cost of imports (USD), Volume of import (tons), Share of products (HS Code) %, Website of the company, Email, Company's profile. If your company is interested in entering the Russian stainless steel market or expanding the exports of products - the survey will be your reliable assistant.